For office and school applications, as well as packaging, advertising materials, and technical products. 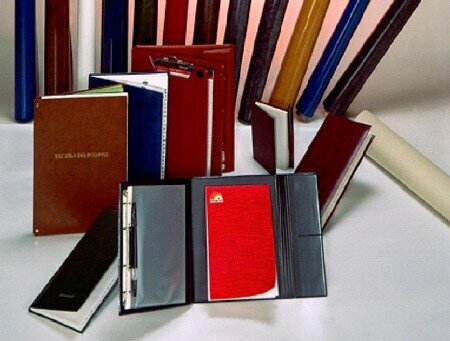 They are manufactured in single- or multi-layer versions, which can be further processed (embossing and printing). The raw materials used for film production are health and environment friendly, free from heavy metal compounds and recyclable. The basic processing methods we apply to the films are: welding, printing with paints for PVC, and binding with other materials, e.g. by gluing or sewing. films for children accessories production. Depending on the customers’ preferences, we are able to manufacture special types of films, adjusted to the particular needs as regards their thickness, hardness, width, embossing, printing, and properties. While processing the film, one should remember that films may change their size depending on the ambient temperature. Detailed properties of films are contained in technical specifications. Depending on the type of surface finish, smooth films and films embossed with various texture designs can be distinguished. Moreover, transparent films may be manufactured dyed or printed. The scope of offered films covers single-layer films of thickness range from 0.09 mm to 0.35 mm and width of 135 cm. Special kind of highly transparent films are the films applicable for tent windows, 0.40 mm and 0.50 mm thick. These films are manufactured in the following versions: single-layer printed film, double-layer printed or non-printed film. According to their resistance to low temperatures we may distinguish standard films (up to - 10°C) and frostproof ones (-20°C). At customers request we can produce films of thickness varying from 0.10 to 0.50 mm, in numerous colours and with various embossments. Standard width of the film ranges between 130 and 140 cm. films for children accessories production (highly transparent films, unicolour fancy products films and printed films).